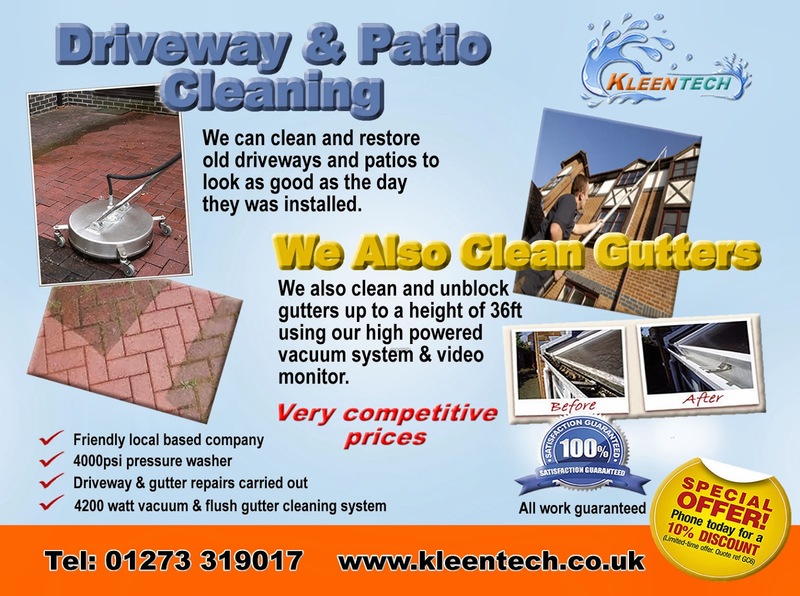 Gutter cleaning by Kleentech in Brighton offer a effective and reliable gutter cleaning service to clients in the Brighton & hove area. With friendly trained staff and armed with the latest high tech equipment, Kleentech can un-block and clear silt, weeds, grass and moss from gutters on buildings up to 4 stories high. For a quotation over the phone please call 01273 319017 or click here to visit our website. 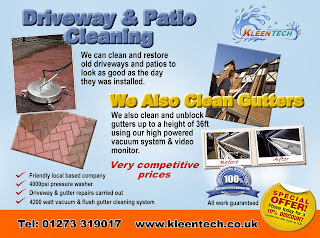 Kleentech are a professional pressure washing company based in Brighton East Sussex. We have invested in high powered pressure washers and industrial vacuum equipment that means we can offer our customers a fast, efficient and cost effective service. 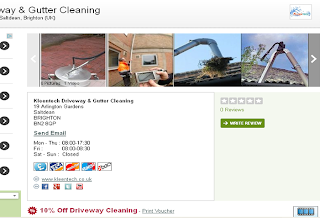 Our services include pressure washing driveways, patios, decking and roof tiles. 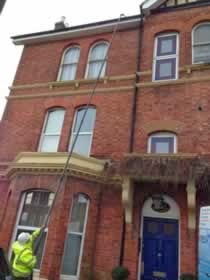 We also offer a gutter cleaning service using our industrial vacuum unit up to a height of 36 meters without the need for ladders or scaffolding. We operate our service in Sussex, Surrey and Kent for domestic and commercial customers.